The first time I sought professional help, I spent a half hour of billable time talking the therapist off her soapbox of “Asian taboos”. Her fixation on whitesplaining taboos kept her from hearing what I was there to say: that my mind kept telling me I was choking, and that I needed her help to breathe. Much has been written about mental health “taboos” in Asian-American communities, and how cultural stigma is a steep barrier to seeking and receiving the care that we need. Asian-Americans, Native Hawaiians and Pacific Islanders have the lowest utilization rate for mental health services among all populations in the US. Because of stigma? Yes, of course. But is this the only reason? Not by a long shot. The overemphasis on cultural stigma can unwittingly reinforce stereotypes of Asian Americans as closed-off, machine-like, less than human, and culturally flawed. It also puts all of the onus on our communities while ignoring the fact that there is overwhelming stigma against mental illness in America at large. If we looked at AAPI mental health with a wide-angle lens we might see something more: how both the causes of psychological distress in AAPI communities, and the barriers to getting professional help, are in part due to racism and the ways American culture and institutions are organized to uphold white supremacy. White supremacy, in turn, orients itself toward AAPIs with explicit and implicit messages that Pacific Islanders are too few in number to matter, despite being one of the fastest-growing minority groups in the country, and that Asian-Americans will never belong. Racism and environmental factors are not everything. Some of us are simply predisposed to mental illness due to the biological cards we are dealt. But research shows that racism plays a much bigger role in our psychological and emotional well-being than we’re currently talking about. This is a pernicious part of the model minority myth: because we hear that some Asian-Americans do benefit from the relative race privilege assigned to us by white supremacy, we can mistake this to mean Asian Americans and Pacific Islanders don’t suffer from racism at all. We do; and, it makes us sick. Let’s break that taboo instead. I grew up in a mostly white suburb outside of Southwest Chicago. My parents had to take my brothers and I out of our local public school because of racist bullying. My father worked 120-hour weeks trying to overcome the racism of those who refused an Asian doctor at their bedside or in their practice. He worked himself into a heart attack. A number of studies have shown that just being a racial minority in America is bad for your health. Daily experiences of institutional and interpersonal racial discrimination have been shown to trigger a chronic stress response. This chronic stress has been shown to directly correlate with increased physical illness such as heart disease as well as mental health conditions like anxiety and depression. A December 2017 conducted by the Harvard T.H. Chang School of Public Health showed that one out of four Asian Americans report race-based discrimination in employment, wages, and when seeking rental housing or buying a home. In other words, contrary to the model minority myth, Asian Americans do experience institutional racism that can affect our social outcomes. Institutional racism, as well as interpersonal racism that comes out as microagressions, are directly linked to mental and physical health problems for Asian Americans. The worst impacts come from microaggressions that invalidate Asian Americans’ experiences with racism and that dehumanize Asian-American culture. There is an unacceptable lack of data specifically focused on the effects of institutional racism on Native Hawaiians and Pacific Islanders (NHPI) , but the data that does exist on health, education, and income disparities in NHPI populations shows that NHPI’s suffer from significant institutional disparities at rates higher than Asian-Americans. These disparities may result in part from racial and cultural discrimination. The effects of racial discrimination seem to get worse over the years: the connection between discrimination and poor physical and mental health increases the longer that Black, Latinx, and Asian immigrants of color live in the United States. Asian immigrants specifically come to the US healthier than non-immigrants, but this “advantage” erodes with more time spent in this country. Now let’s add two more ingredients to this mix: race-based vigilante violence, and the intergenerational trauma of wars whose atrocities were fueled by white supremacy. Filipinx Americans and Chinese Americans have been the victims of race-based vigilante violence disguised as worker disputes during massacres including the Watsonville riots and the Wallowa County massacre. South Asian communities have faced increased vigilante violence since 9-11, and a resurgence of institutional violence since Trump took the national stage. Many Cambodian, Laotian, Hmong, Vietnamese, Korean, Indian, Pakistani and Filipino communities, among others, are also dealing with the fallout of the past century’s wars. Two out of three Cambodian refugees suffer from post-traumatic stress disorder. Japanese-American communities experience enduring health impacts from the trauma of Japanese internment. Pacific Islanders bear the brutal continued impacts of settler colonialism and the theft of land, culture and resources that cause Pacific Islanders to suffer health impacts at a similar rate to Native Americans. In all of these conflicts, white supremacy has deemed Asian and Pacific Islander lives to be less human and less worthy than white lives. All of these structural and interpersonal threats to our survival, our sense of worth and our sense of belonging are enough to drive us literally mad. And when we do seek help, racism is right there to remind us that we have to fight for the care we deserve. Until recently, I have not said in so many words that I’ve been depressed, that I’ve looked at my life with a foreshortened future, have experienced suicidal ideation, that I suffer from intrusive thoughts or that I am hypervigilant almost all the time. Instead my body-mind has used more familiar terms: disrupted rhythms, broken sleep, infernal fear, and the presence or absence of love. English is my first language and I still do not speak the language of the DSM-V. Almost half of all Asian Americans and Pacific Islanders have difficulty accessing mental health treatment because of a lack of services that meet language and cultural needs. Almost 40% of Asian-Americans need health services in their primary language because they do not speak English fluently. One in five low-income Asian Americans avoid seeking health care altogether because they fear anti-Asian discrimination. Most Native Hawaiian youth do not seek treatment from western physicians, but instead go to Native Hawaiian healers for mental health care. Even when AAPIs are able to access care, we face the barriers of a western medical system organized around white cultural norms of illness and health. Across the board, screening instruments for psychiatric disorders use language that may not resonate with AAPI communities. For example, studies have shown that Chinese Americans tend to talk more about physical symptoms rather than mental or emotional distress when talking about mood disorders like depression. Mental health professionals who rely solely on standard psychiatric diagnoses could completely miss interpreting these physical symptoms as signs of psychological distress. “I constantly have the feeling that I can’t breathe, that my throat is going to close up and my lungs are gonna collapse,” I said to the therapist fixated on taboos. The Asian taboo lens on the problem would assume Asian Americans talk about their bodies because they don’t like to talk about emotions. The structural racism lens on the problem would analyze instead that it’s a white male concept to talk about emotions as distinct from the body. For example, traditional Chinese medicine has known for centuries what western science is only starting to understand: that mind, body and emotion are inextricably intertwined. Similarly, Native Hawaiian healers view health as life and life as an entwined relationship between body, mind, spirit and nature. For AAPIs who believe the same, it is no wonder that we may turn away from western medicine’s limited paradigm for treating mental health. Those of us who do rely on western pharmaceuticals to treat our mental health conditions may not receive the help we need, again because of—you guessed it, racism. Studies show that white patients are almost 80% more likely than non-white patients to receive prescription medication for mental illness. Women of color are the least likely to receive adequate medication for chronic pain that may be associated with psychological distress. It took me nearly twenty years to get (1) accurate diagnosis of my mental and physical health conditions and (2) the medication I needed to manage both. When I finally did get the medication I needed, it was only because a white woman friend told me exactly what to ask for. She helped me bypass the implicit bias that leads doctors to prescribe more medication to white people because they assume people of color to be less trustworthy and compliant, and therefore more likely to abuse prescription drugs. After years of seeking the medication I needed, I now finally sleep better and can function at a more reliable and steady pace. But it shouldn’t have to be this hard. Like most young Asian Americans, before I found the professional help I needed, I looked for support from the people around me. In my twenties, I found a community of activists building a movement for racial justice in California, and this is when I began to heal. Through this community I found referrals to culturally competent therapists. I also found a deep sense of belonging through connection to other people and to a larger cause. Researchers have shown that a strong sense of ethnic identity can help improve symptoms of psychological distress in some Asian-American communities. Beyond the buffering of an ethnic or cultural community, studies have also shown that voting, volunteering and activism can help ease the symptoms of mood and anxiety disorders. Taking action is good for our mental health because it gives us a sense of agency and builds the resilience of being part of something bigger than ourselves. 1 in 5 Native Hawaiians and Pacific Islander adults have a diagnosed depressive disorder, the highest incidence of all racial and ethnic groups in the US. NHPI’s also suffer from diagnosed anxiety disorders at a rate higher than all racial ethnic groups except for American Indians and Alaska Natives. Asian American teenage girls have the highest rate of depression among teenagers of all racial and ethnic groups in the US. Cambodian Americans experience depression at seven times the rate of the general US population. Between 2009 and 2015, the rate of suicide among NHPI’s was twice as high as among non-Hispanic whites; South Asian Americans have a higher suicide rate than Asian Americans as a whole. What if we invested in more research like this to understand how different AAPI communities are affected by depression, suicide, and other mental health disruptions? Then what if we targeted funding not just to mental health services for these communities, but also to institutions like ACRS, NAAPIMHA, NAMI and others that can support building stronger communities and in taking action for a bigger cause? Then we might be able to get beyond just increasing cultural tolerance for the 2.2 million of us who suffer from a diagnosable mental illness, and the many more of us who suffer from psychological distress. We could move from breaking isolation to building whole health and power, and that sounds like true belonging to me. 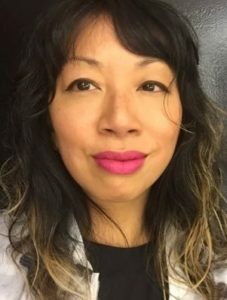 Jen Soriano is a Filipina-American essayist who writes about the intersections of science, race, gender, capitalism, colonialism and power. She is an award-winning science writer whose articles have appeared in a number of outlets including Seattle Magazine, Mother Jones, Filipinas Magazine, Stir Journal and ParentMap. Her essay “A Brief History of Her Pain” was nominated for 2018 Best of the Net and a 2018 Pushcart Prize. Jen is a co-founder of The Center for Media Justice, the RoadMap Weathering the Storms Project, and ReFrame, and is currently an MFA candidate at the Rainier Writing Workshop in Tacoma, Washington.